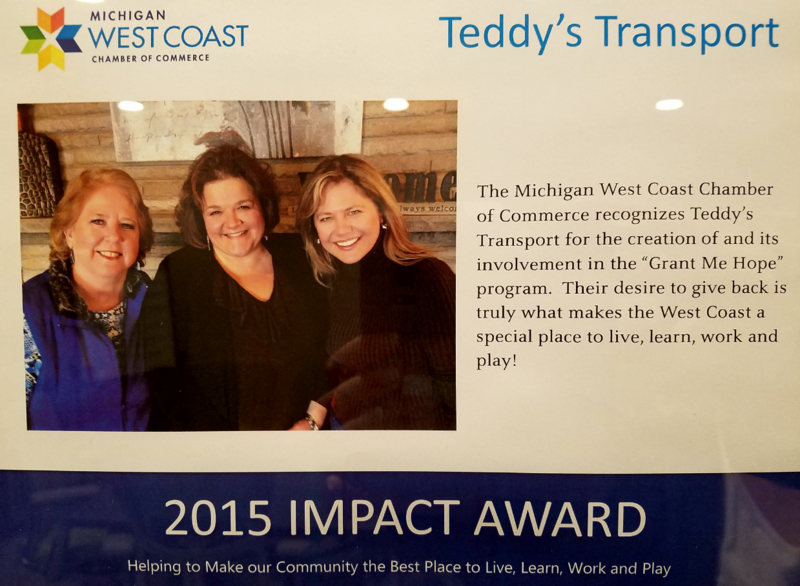 Click the thumbnail to read about Teddy’s Transport President Helen Zeerip receiving the a Michigan West Coast Chamber of Commerce IMPACT Award in 2015..
Click the thumbnail to read about the 2014 Lakeshore Athena Award given to Helen Zeerip, President of Teddy’s Transport. Click the thumbnail to read about Teddy’s Transport being named the 2013 Michigan Family-Owned Small Business of the Year by the U.S. Small Business Administration. Click the thumbnail to read about our 30 year Anniversary milestone. Teddy’s Transport is honored to be named among the top 5000 fastest growing companies! Click the thumbnail to read the profile. Click the thumbnail to read a recent Business Update article celebrating Teddy’s Transport Anniversary and spotlighting reviews from many local businesses on their excellent service.